Readying myself for the trip to Utah and Las Vegas this past weekend I had my hair attended to…. we added red low lights (advised by Jeri for texture) and what was to be a trim. Well, she cut three inches off the bottom…and I had to stand up so she could cut! That’s how long my hair is! This hair growth product is wonderful….We haven’t yet launched it as we are just working on how to make it more affordable to all. So the next day I leave for the airport. Ben sent my boarding pass to my iPhone. Located at security is a machine you simply swipe the iPhone across while the boarding pass application is displayed and Wha-La! You are checked through. How easy is that?!? I LOVE TECHNOLOGY!!! Bye-the-way – both events were fun and productive. Leta, along with Nicole and Cassey and Jeri , along with Cathy and Amber, both have great teams building in their home towns! Glam N Gloss for Colorado Springs must be rescheduled due to Blizzard…. I’ll let you know as soon as possible new date. Meanwhile, run a snow day online special to customer base. They are probably at home on the computer too! Las Vegas, then onto Oklahoma, Texas, and Washington…. 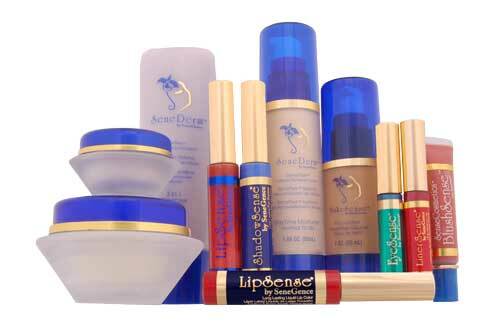 What a wonderful journey it has been so far….Meeting dozens of women of all walks of life who have chosen to become new SeneGence Distributors at each location. While in Oklahoma on a world-wind tour of three cities with SeneGence State Leader, Super Business Woman & Mom, Dawn C. I had the great pleasure to spend the night with life long girlfriend (and SeneGence Distributor) Kristen W. To my delight, at the training I meet up with a friend of long ago someone I first met while in the second grade living there, Tamah L. (who happens to have beautiful skin that will become even more beautiful using SeneDerm Skin Care now that she’s a SeneGence Distributor)! What fun is that? Since then we’ve connected on face book with another very dear friend, Jayne F. I used to spend the night at her home throughout 8th and 9th grades…even on school nights. What fun we had! I look forward to having these and other girlfriends from school years join our SeneGence team to help spread the word about our fantastic anti aging and long lasting color lines…and have lots of fun together while doing so. Won’t it be just wonderful to gather a couple of times a year to celebrate our successes?!? Kiss-Me-Katie’s (yes, THAT Katie) event in Washington was spectacular and the best to date. I think friend Casey has giant leadership potential now that kids are older. How ’bout it Casey? This week my travels will take me to the Slopes near Colorado Springs, CO., Salt Lake, and back to Las Vegas to train our Vegas gals. If you happen to see me on your flight….come on over and let’s chat.